Home | Protein & Fitness | Protein | Specialty Proteins | Carnivor Beef Protein Isolate Chocolate 4 lbs. We are proud to bring you Carnivor in Chocolate flavor from MuscleMeds. 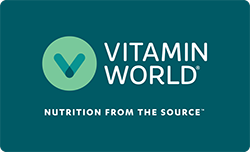 Look to Vitamin World for high quality national brands and great nutrition at the best possible prices. Ingredients: Carnivor-BPI [Hydrolyzed Beef Protein Isolate, Creatine Monohydrate, BCAAs (L-Leucine, L-Valine, L-Isoleucine), Anabolic Nitrogen Retention Technology™ Intermediates: GKG (Glutamine-Alpha-Ketoglutarate), OKG (Ornithine-Alpha-Ketoglutarate), AKG (Alpha-Ketoglutarate), And KIC (Alpha-Ketoisocaproate)], Maltodextrin, Cocoa, Natural And Artificial Flavors, Salt, Silica, Acesulfame Potassium, and Sucralose. Warning: Very low calorie protein diets (below 400 calories per day) may cause serious illness or death. Do not use for weight reduction in such diets without medical supervision. Not for use by infants, children or pregnant or nursing women. Keep out of reach of children. Carnivor Beef Protein Isolate Chocolate 4 lbs. is rated 4.7 out of 5 by 14. Rated 5 out of 5 by Anonymous from Best Protein Great taste, easy to mix. Rated 5 out of 5 by SuperGuy from Super Lean ***Beef Protein Zero estrogen, ***Beef Protein, Low on Calories, High on everything else you should add into a protein. The ONLY protein I need to buy at VITAMIN WORLD. Rated 5 out of 5 by Anonymous from amazing energy i've been using whey protein isolate for a long while. I decided to give Carnivore a try, and what a difference! I feel more energized, stronger, and my muscles a really building faster than before. Rated 5 out of 5 by bigbald from Good Price for Whey Isolate With the buy one get one at 50% off plus the promo you cannot get a good beef whey hydrolysed isolate for this price. The only downside of this product is that it does not mix with your beverage easily. Rated 5 out of 5 by FREMUR12 from has benn highly recommended by a friend I have only taken in for 4 days so I really can't give a recommendation at this time, although a friend om mine who recommended it to me really noticed. a difference. I just ordered 2 more canisters, 1 for me and 1 for him.